Have you been attracted to these elegant little dogs and are curious about the Besenji temperament? Originally bred in Africa as a hunting dog, the Basenji is a high spirited dog that is eager to please his humans. The Basenji is a “non-barking” dog! That isn’t to say that he is mute, however. These dogs make noises closer to that of a coyote or wolf and are known for their characteristic yodel that may make the hair on the back of your neck stand up the first few times you hear it. Height – Males top off at about 17 inches tall, while female Basenjis are a little bit shorter at about 15-16 inches tall. Lifespan – Basenjis live to be between 12 and 16 years. Eyesight – The Basenji has amazing eyesight and is still used by native Bushman in central Africa to help push the large game into nets. What’s to love about the Besenji temperament? These scrappy little dogs are very affectionate, loyal and smart. They are eager to please and so, as long as you establish leadership, your Basenji will be easy to train. One of the best things about the Basenji temperament is how much they love their humans. They enjoy being a part of the family but don’t do very well left alone. You will want to make sure that you have plenty of time to spend with your new dog if you are planning on choosing a Basenji. 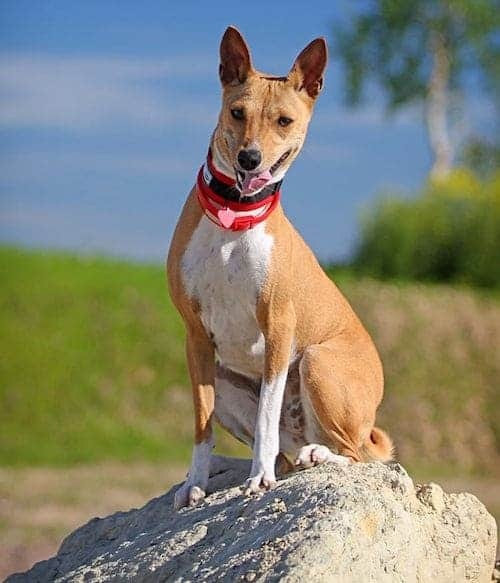 Let's take a closer look now at the specific Basenji temperament characteristics that make this breed such a joy to own. The Basenji's intelligent temperament can work both for and against you. On the one hand, it makes him easier to train; on the other, he knows just how to manipulate you to get what he wants. The energetic Basenji temperament is a joy to behold, but a terror to rein in. Exercise him often, or pay the price! The curious Basenji temperament means he's always on the lookout for adventure. However, this is the same personality trait that gets him into trouble. You can actually see the alert Basenji temperament in action. When his ears shoot up and his forehead wrinkles tighten, that's when you know he's keeping a close eye on something! If you don’t give your Basenji something to keep his keen mind entertained, he will find something on his own. Your Basenji will keep you on your toes and you will learn quickly not to leave him unsupervised with your favorite pair of shoes! Basenjis are one of the oldest natural breeds still in existence and they have been hunting small critters for thousands of years. This means that your new dog will have strong urges to chase pretty much anything that runs. Don’t expect this breed to be happy to lounge on the front porch, patiently awaiting your return; they want to be active and without a lot of exercises may develop behavior problems. 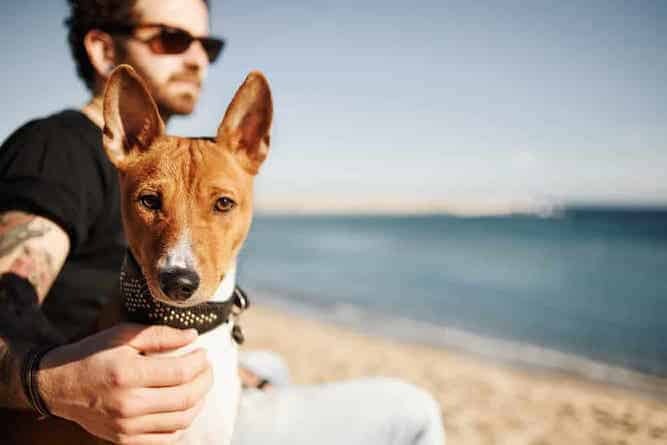 If you think that the alert and affectionate Basenji temperament makes this a good dog for you, here are a few tips to help you be successful with your new dog. These intelligent pups can start learning manners at a very young age and the earlier you introduce your new Basenji to the rules of the house, the better chance of success you will have. This online dog video training resource can help you. Some dogs such as Chihuahuas or Yorkshire Terriers do fine without crate training, but Basenjis are a whole other story. If you start your pup getting used to hanging out in a crate early on, you will be much better off when you need to leave him for short periods of time. The key is to not expect your dog to spend all day every day in the crate, but use it as a training aid to help establish a routine. 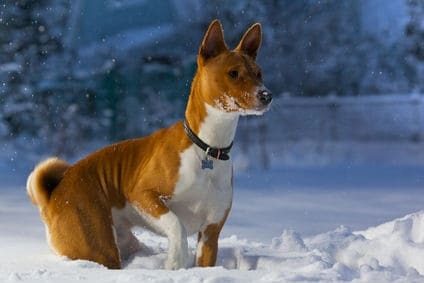 Unlike a Golden Retriever, the Basenji still has strong roots to his wild side and needs to be treated with the respect you might give a wild animal. Establish your role as “leader of the pack” early on and be consistent in this expectation. Your Basenji will feel much more comfortable knowing someone is in charge. A bored Basenji is a destructive Basenji! The more games you play and adventures you take together, the happier and well behaved this dog will be. These dogs are notorious for their Houdini impersonations and seem to be able to get out of just about any yard; some have even been caught climbing fences to get out! This command should be one of the first things you teach your new dog because they love to bolt away in search of prey. Use lots of treats and praise to train your Basenji to come every time you call his name to help keep him out of harm’s way. This is because the combination of the Basenji's intelligence and penchant for getting into trouble can cause you much distress if you don't rein him in. Yet, despite how important it is to train the Basenji, you may find the practice rather difficult. This is because experts describe him as being catlike with his desire to learn new things – in other words, not very helpful. Keep training sessions short – 5 to 10 minutes max. This will prevent him from losing interest and moving on to other things. If you find it too difficult to train him yourself, then you must invest in obedience classes to get him on track. Also, something of note: just because the Basenji is “barkless” doesn't mean he's a perfect apartment dog. That yodeling of his can become quite a nuisance to your neighbors if you don't train him not to use it willy-nilly. Thankfully, shedding isn't really an issue for the Basenji. A quick weekly once-over is enough to keep him looking neat and clean. He doesn't get that “dog” smell, so you only really need to bathe him when he's dirty. 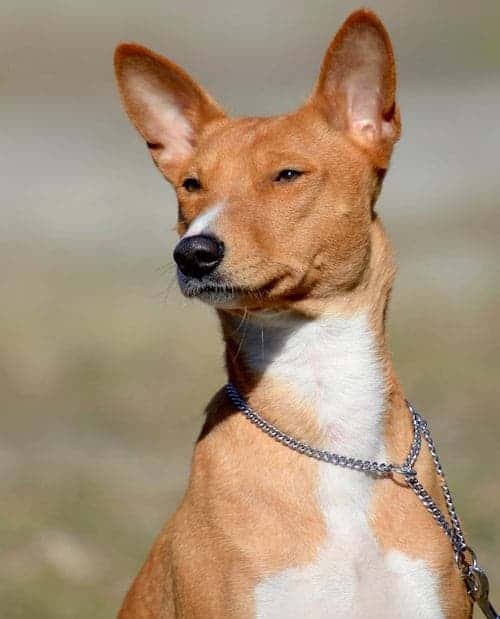 If you're looking for a hypoallergenic Basenji…you're not going to find one. This is because no dog is truly hypoallergenic. Unfortunately, the only way to know if you're allergic to a dog is to spend enough time with him to develop a reaction. No reaction, no allergies. However, if you tend to be allergic to dogs, you may find you can own a Basenji. This is because they have less dander than other dogs. Exercise your Basenji regularly to keep him from becoming bored and destructive. Lengthy play sessions outside are good for helping him release his unused energy. Never let him off the leash, though. His prey drive is too high, and he may just take off after catching a strong scent or seeing small “prey,” like a cat or squirrel. Most Basenjis are healthy dogs, but that doesn't mean they are exempt from experiencing certain health issues. Of course, while some of these conditions are more minor than others, every condition becomes serious if left untreated. If you see signs of any of these conditions in your Basenji, take him to your veterinarian immediately. Note: Don't let the many issues above scare you. The best way to approach health problems is to prevent them in the first place. The Ultimate Guide to Dog Health is a great place to start. Get a copy to keep at home. It will help you prevent the painful health issues that can plague your lovable Basenji Dog from expressing his winning personality and maximizing his life expectancy. Would you like to add a Basenji puppy to your family? Well, who wouldn't? You can find a Basenji for sale either from a breeder or through your local animal shelter. Expect the Basenji cost to vary, depending on where you choose to buy the dog. You might be lucky to find a Basenji price around $800. However, this is a fairly low Basenji dog price. Typically, Basenji dogs for sale can go for anywhere from $1,700 to $4,500. You can expect to pay even more for a higher quality pedigree of dog. 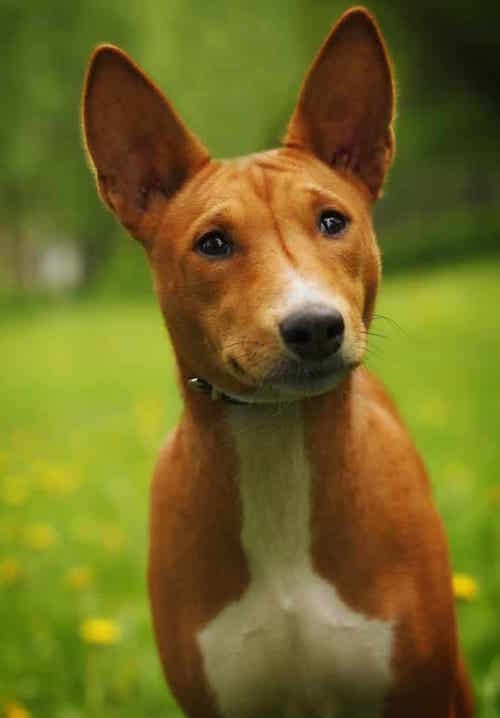 If you're looking into a Basenji for adoption, you may be able to find one at your local rescue shelter. You may prefer to adopt if anything over $1,000 is simply out of your price range. Adoption is also ideal if you would rather skip the puppy stage entirely and opt for an older dog. Reasons for doing this include not having to train a puppy, or deal with the destruction he can cause while he's still learning to behave. 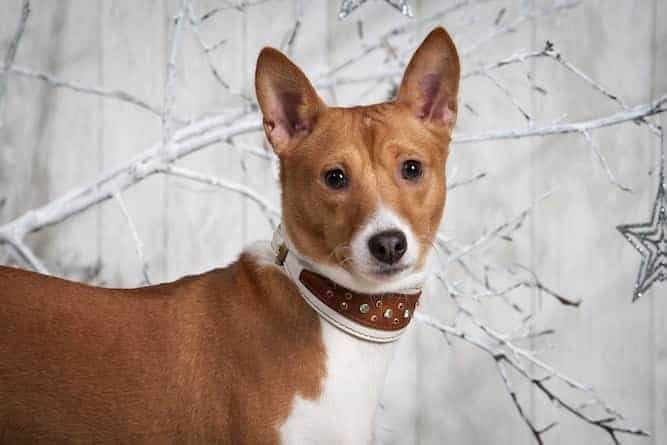 You may also prefer to adopt if you're looking for a Basenji mix. This is because you're more likely to find a mixed breed at a shelter than a purebred. The Basenji Club of America is a great place to start if you're looking for a breeder. You can't get more official than the official page for a dog breed. Just like anything else, you don't want to go with the first breeder unless you've done some research and you're absolutely sure that's the right one. Red flags to watch out for include breeders who won't answer your questions, or breeders who won't let you inspect their breeding grounds. The last thing you need is to drop $4,500 on a dog, only to learn later on that the environment he grew up in was subpar. This can affect everything from his health to his temperament. Conclusion: Why the Basenji Breed? The Basenji temperament can make even the calmest household livelier. In fact, he's so lively that you need to exercise him daily so that he doesn't use up that energy on destroying your home! The Basenji is not a barker, though he does have an impressive yodel that works to define the breed. For this reason, you must still be careful if you're choosing him as an apartment dog. He's easy to groom, and because he has less dander and a shorter coat, those with dog allergies flock to this breed. However, you can never truly know if you have allergies to a dog until you spend time with one.